Who Should Purchase the New Client Package? Clients new to our studio can benefit from this new client package allowing you to try out the studio and find the perfect fit to reach your goals at a discounted rate! Did you already purchase a new client package? Schedule your class here. The new client package is available to try us out before committing to a larger purchase. We want to make sure you are comfortable with your commitment and confident we can help you reach your goals! Pilates is a form of exercise, developed by Joseph Pilates, which emphasizes the balanced development of the body through core strength, flexibility, and awareness in order to support efficient, graceful movement. Pilates is one of the most popular exercise systems in the country. Runner or golfer, tennis player or new mom, chances are you’ve heard someone talking about the benefits of Pilates. It seems like everyone is either doing Pilates, or interested in starting a Pilates exercise program. Indeed, one of the best things about the Pilates method is that it works so well for a wide range of people. Athletes and dancers love it, as do seniors, women rebounding from pregnancy, and people who are at various stages of physical rehabilitation. Is Pilates a “girls” exercise? This is the biggest misconception of Pilates and it could not be farther from the truth. Pilates was actually created by a man named Joseph Pilates and it was originally used as an exercise program for soldiers in World War I. Your body will totally transform from the inside out; posture will improve, you will develop a strong core – flat abdominals and a strong back. The buttocks will strengthen and become more visibly toned, while arms and legs will become leaner. After a refreshing mind-body workout, your energy level will dramatically increase. Chronic back pain and other debilitating physical ailments will decrease significantly as your range of motion and mobility improves. Arrive 10 minutes early for your first class so you can fill out the appropriate paperwork. As a new client if it is your first time taking a Pilates Equipment Class we encourage that you take at least 1 private Pilates session. The personal attention that you will receive will help you learn proper technique and alignment and improve your overall Pilates experience. Reservations can be made up to 2 weeks in advance. You can use our online system or call the studio directly. Cancellations are allowed up to 2 hours prior to the class and 24 hours prior to a private or duet session. If you do not show and a cancellation is not received your account will be charged for that class or session. No shoes while taking a Pilates class. You can either go barefoot or wear grip socks. Fitted clothing is recommended so the instructors can see your body alignment. Long pants or pants that go to the knee are recommended. I decided a few months ago to give The Pilates Barre a try….WOW! What an amazing adventure this has been for me. In 3 months I have seen a lot of changes in my body. I feel like I am a lot stronger than I have ever been. Love this studio! Staff is knowledgeable and warm. Equipment is excellent. You can be a true athlete or, if you are like me, an aging boomer — and all your exercise needs will be met. Yesterday was my Pilates Anniversary and of course I celebrated with buying new Pilates workout clothes. I also bought a new dress for a wedding next month 4 sizes smaller than before Pilates!!! Thank you to everyone at the Pilates Barre Studio! 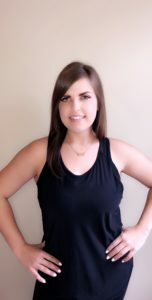 Kelly became a certified Level 5 Romana’s Pilates teacher in August 2017 after training for nearly two years with at Pilates of West County in St. Louis. 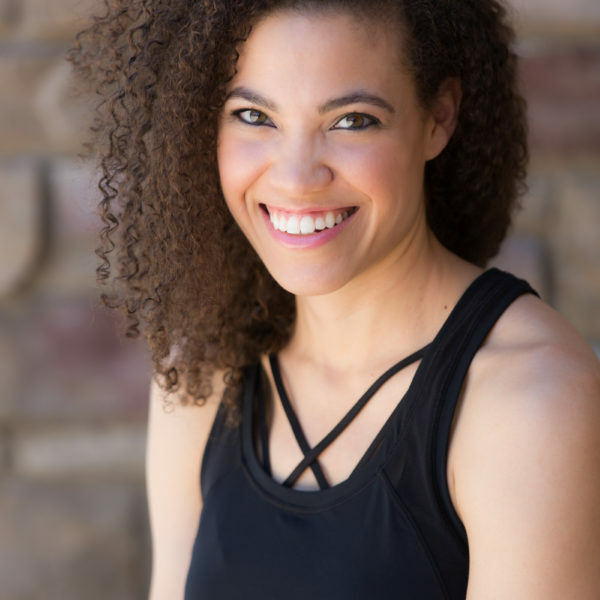 Throughout her apprenticeship she also trained with teachers in Chicago, Ft. Lauderdale, and New York City, working with master teachers and on some of Joseph Pilates’ original equipment! Romana’s Pilates develops instructors using techniques and knowledge that is as close to the original teaching as is available anywhere in the world. Kelly is excited to bring that knowledge to her Edwardsville community. Kelly began taking Pilates classes in high school to supplement her extensive dance training. She graduated with honors from the University of Arizona with a BFA in dance. 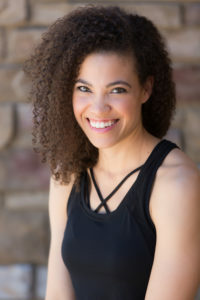 She went on to dance professionally with the Charleston Ballet Theatre in Charleston, SC before moving to St. Louis in the Spring of 2012 to join the Big Muddy Dance Company. She is currently dancing with the company in their 8th season and lives in Edwardsville with her husband, Tyler, and their dog, Walter. 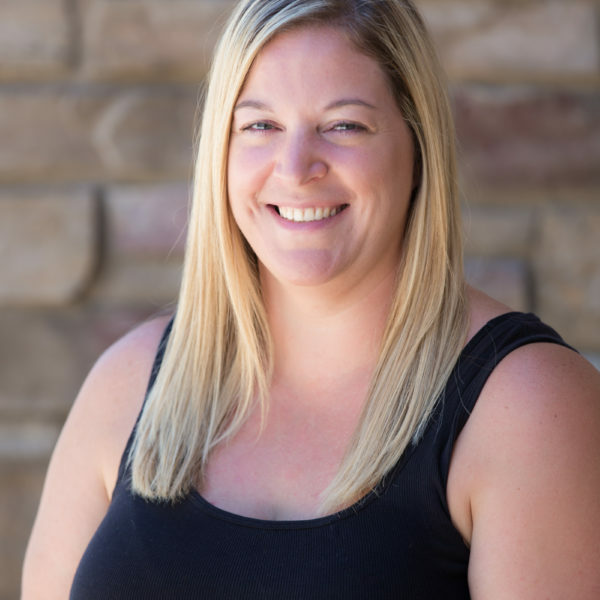 In her short time teaching, Kelly has worked with men and women ages 8- 80, including first timers, young athletes, and avid fitness junkies. She has an attention to detail and a relentless pursuit for improvement. She is excited to continue to learn from her colleagues and teachers across the world and bring that knowledge to her clients at The Pilates Barre Studio. She believes regular practice of Pilates can change and heal the body and most importantly should be fun! What qualities do you most admire in a teacher? A teacher that can see your potential and push you further. Top 3 things on your “To Do Before I Die” list? See as much of the world as I can, visit every National Park, make a difference. What’s your Pilates “a-ha” moment? I’m always working on it, but really making sure every movement comes from the powerhouse and works out through the limbs. You can’t do anything without your stomach muscles! Favorite blog? I don’t really follow blogs…but my Instagram is filled with dance companies, fashion and home interiors that I can’t afford, healthy recipes, and Pilates! How has Pilates changed your body? It has given me control over my body and the confidence to always keep trying. I am an expert in…..? I wish I was an expert in fine wine but I am probably only an expert in petting dogs. Where can we find you on any given Saturday night? Either watching a movie with my husband or out with friends. 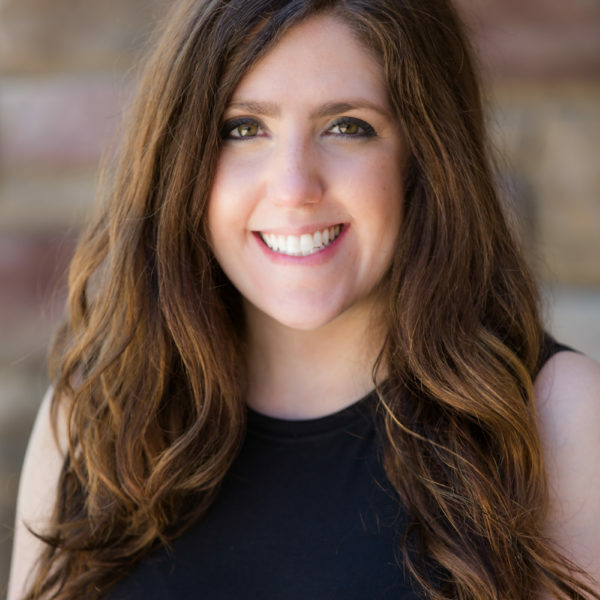 Harley’s passion for health and wellness has been longstanding. She played soccer at Vanderbilt University before transferring to North Carolina State University to pursue a degree in nutrition and to continue her soccer career. College athletics led her to the fitness industry- through a mixture of rehabilitation from many injuries and lots of meetings with the team dietitian, she knew that she wanted to choose a career that involved helping others be the healthiest version of themselves. As a recent graduate in May of 2018, she now has a Bachelor’s Degree in Nutrition Science. Her favorite ways to stay active are hiking and yoga. While searching for an exercise to fill the void of soccer, she was introduced to Barre and instantly fell in love with its challenging, but low-impact nature. She is a certified barre instructor through IBBFA’s Barre Certification Level 1. She plans to continue her education at St. Louis University to become a Registered Dietitian. I don’t leave home without? My water bottle! Top 3 places you’ve traveled? What’s your Pilates “a-ha” moment? Constantly feeling my muscles activate in poses- it’s amazing! Being a college athlete made me accustomed to going through the movements without really having the awareness. How has Pilates changed your body? I feel more toned! I am an expert in…..? Learning! Where can we find you on any given Saturday night? I love going out with friends, but usually I’m on my couch watching a love story with hot tea, popcorn, and my dogs. Olivia was born and raised in Southern Illinois. She has always loved to move her body by going on walks, bike rides, and swimming. She was in ballet and tap dancing at a young age and in grade school became a cheerleader. 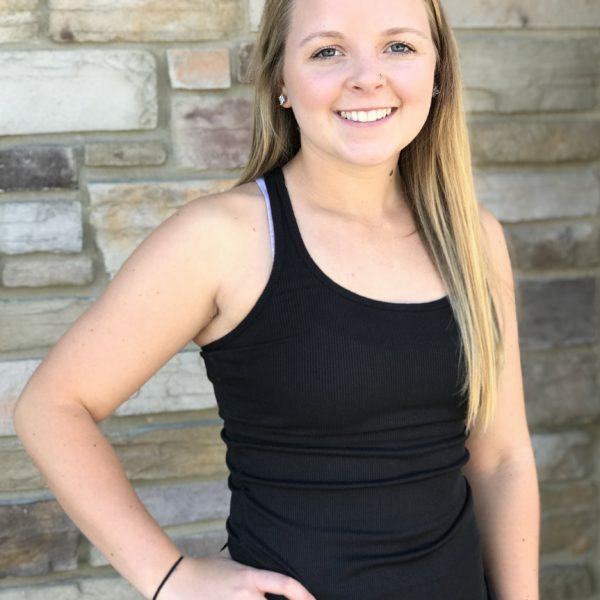 Her body began to form bad habits from constant stress on her body through cheering and tumbling all the way through her high school career. 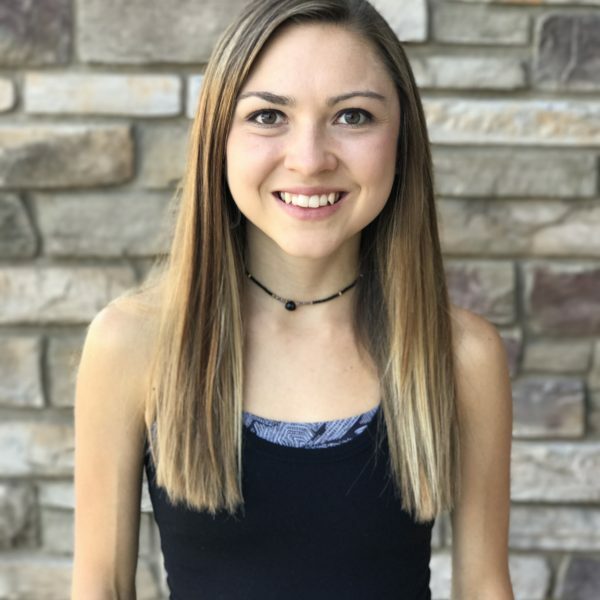 It was not until her sophomore year of college when she switched her major from criminal justice to Exercise Science that she found herself on a journey of health and wellness. 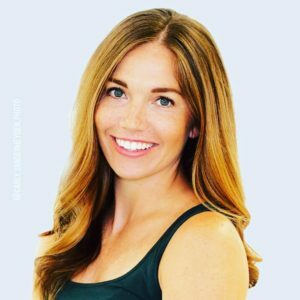 Through her own fitness journey she found herself wanting to help others increase their overall health and well-being too. While she was working next door to the studio at a boutique, she realized she eventually needed a job related to her major- what better place than the Pilates Barre Studio! The rest is history, she fell in love with Pilates and barre instantly and within a year, a bachelors degree from SIUE in Exercise Science, and a lot of experience later, she became a certified group fitness instructor! 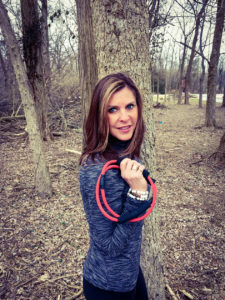 She is currently teaching TRX barre classes and going through the Pilates Teacher Training Program. She is excited to see all that she can learn and the people’s lives that she can change through Pilates. She is a firm believer that it is never to late to start moving your body and the second that you start, you are guaranteed to see an increase in your quality of life! P.S. It grinds Olivia’s gears when people refer to one side of their body as their “weak side” she prefers to think of it as having a strong side, and a stronger side! YOU are so much stronger than you think, give yourself credit for the amazing things your body is capable of doing! Favorite thing to eat for breakfast? Scrambled eggs, protein pancakes & grapefruit. What qualities do you most admire in a teacher? Honesty- I am a HUGE fan of constructive criticism- everyone needs it to grow! Top 3 places you’ve traveled? Cabo San Lucas Mexico, Dubois Wyoming, & Washington D.C.
What is your signature fashion style? I love to match, actually my OCD forces me to. Other than that, I have a very versatile wardrobe, but you will ALWAYS catch me in something black. Top 3 things on your “To Do Before I Die” list? -Travel the world- I want to explore all of the continents. -Sip wine in a hammock on a Catamaran while sailing through the Caribbean. What’s your Pilates “a-ha” moment? Finding my low belly (abdominals) just from finally learning to breath correctly…WOAH. Favorite blog? Mallory Ervin- she is hilarious, down to earth, and realistic. How has Pilates changed your body? Pilates has given me a new found appreciation and love for my body mentally and physically- you cannot help but to feel amazing when you do Pilates consistently. I am an expert in…..? Listening- if ya need an ear or two I’m your girl! Where can we find you on any given Saturday night? On my couch, with a glass of wine, a suede blanc candle lit, & in my fuzzy socks. 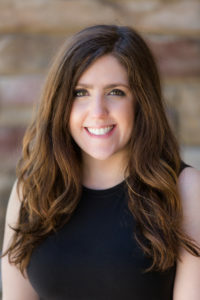 Amy grew up being active in a plethora of sports and outdoor activities including golf, basketball, gymnastics, skiing, running and volleyball. Her passion and dedication to golf lead her to a golf scholarship at the University of Missouri – St. Louis. After suffering from a sports injury, Amy’s focus quickly turned to fitness. In 2007 she discovered Pilates which transformed the way she viewed body movement and fitness. 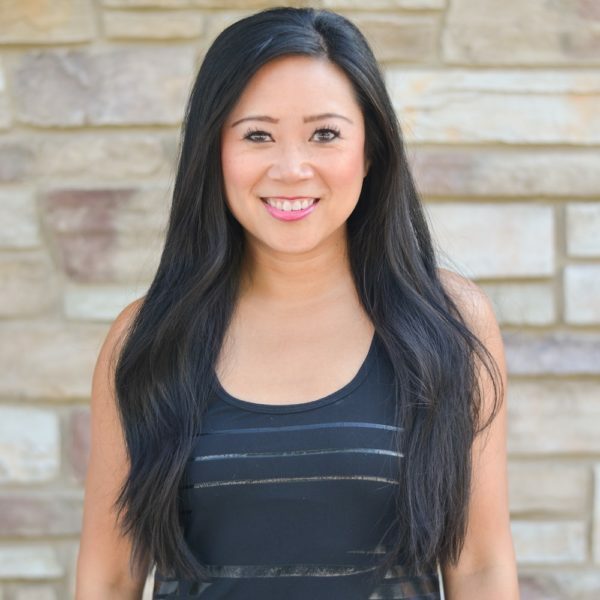 After her first Pilates session her approach to exercise forever changed and that motivated Amy to begin her formal Pilates training through The Core Center of St. Louis. In 2010 Amy attended her first barre class and experienced the intense burn and quick results of the low-impact workout. 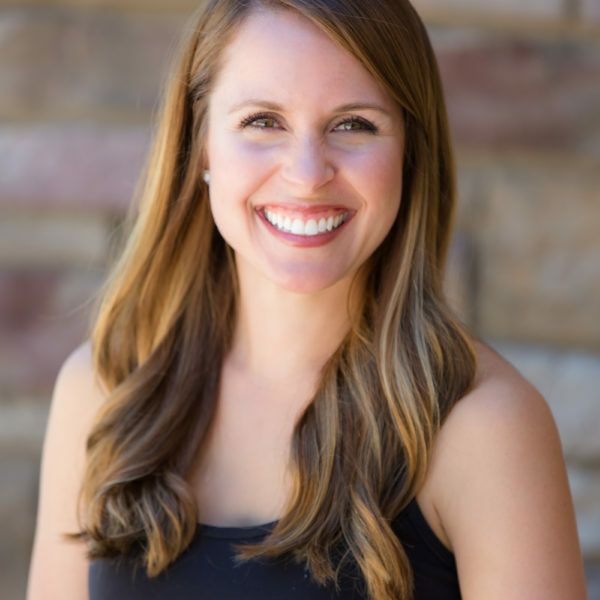 In 2013 Amy was certified in the barre technique through Balanced Body University. After experiencing the parallels of Pilates and Barre Amy’s love for both techniques grew beyond any other workout she had ever tried which has evolved into the unique fusion of these two workouts that has created The Pilates Barre Studio. 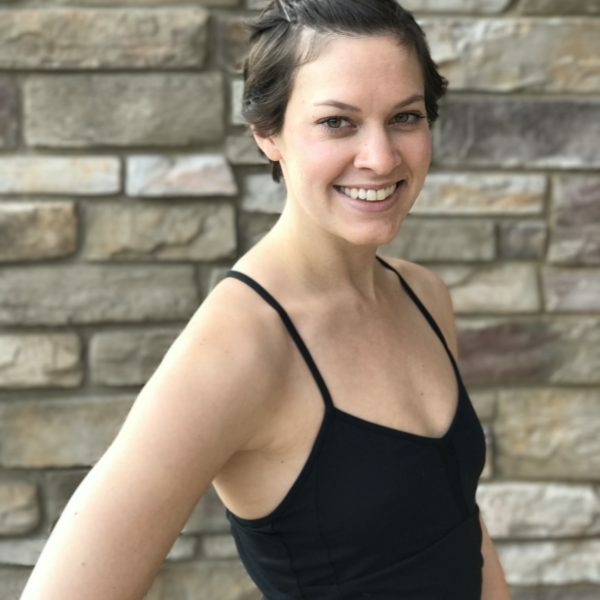 Amy is excited about sharing The Pilates Barre Studio with the Edwardsville community and believes that the studio environment will empower clients to reach their fullest potential. Angela was born and raised in Southern Illinois where she grew up involved in many sports such as volleyball, golf, and basketball. Her love for athletics guided her to the University of Kentucky where she worked for the men’s basketball team throughout college. Illness and injury lead Angela to yoga, Pilates, and zumba due to her deep eagerness to heal through movement. A healthy lifestyle of eating more natural and clean also became a way of life during this time. It wasn’t until her first barre class that Angela quickly developed a passion for the barre technique. 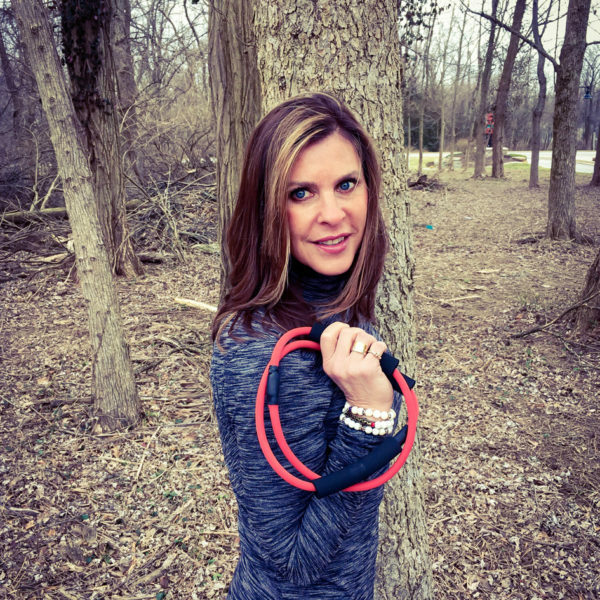 She became barre certified under Balance Body University, and Pilates certified through The Core Center of St. Louis. She loves sharing her devotion for the Pilates Barre technique and recommends it to everyone she knows. When Angela is not at The Pilates Barre Studio, she enjoys traveling the world, reading, going to concerts, shopping, photography and spending time with her friends and family. She hopes the studio will be used as a platform to not only inspire others to become more aware of the importance of health and fitness, but also for it to have a positive impact on the Edwardsville community. What’s your Pilates “a-ha” moment? I always have back pain and Pilates helped me with body awareness when it comes to sitting correctly. I realized how I was sitting only increased my pain by over stretching my back muscles. When we were learning body alignment and positioning, things started to click on what I needed to change. Two words that describe your teaching style? Challenging workout! Amelia has grown up and worked in Edwardsville, Illinois. She has always had a discipline for getting in a morning run or workout before the start of her day. Her passion for fitness grew from playing field hockey in high school. She has placed in her age group for many running races completed her first marathon at the 2016 Medtronic Twin Cities Marathon, which earned her a Boston qualifying time. She began taking barre classes at the Pilates Barre Studio during her marathon training and has been actively participating since then. As a runner, she found that the barre classes not only strengthened her running muscles, but also improved her posture and overall alignment. She believes that the exercises provided through barre and pilates are necessary to keeping the body fit and healthy. She is a certified barre instructor through IBBFA’s Barre Certification Level 1. She is currently studying at SIUE to earn her Bachelors in Accountancy and will be graduating in December of 2017. 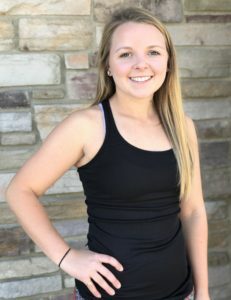 She is very motivated to help others reach their fitness goals and maintain a healthy lifestyle through teaching barre. Top 3 things on your “To Do Before I Die” list? Run the Boston Marathon, Watch the Cardinals win the World Series in person, and meet Taylor Swift! What’s your Pilates “a-ha” moment? When I confuse “up” with “down” and do the opposite. How has Pilates changed your body? My overall posture during the working day and during my running. Where can we find you on any given Saturday night? At a Mike Shannons with wine, salmon, and my fiancé, Mike. Amber began her Pilates journey due to neck and shoulder pain. She quickly got hooked on private lessons and the ability to understand more about movement theory. Being an educator and life-long learner, Amber found herself craving more knowledge about Pilates. This led her to pursue training at the prestigious The Pilates Center in Boulder, Colorado. 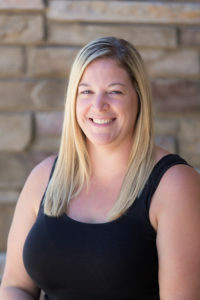 Amber has graduate degrees in Communication and Instructional Technology, and a graduate certificate in Web-Based Learning. She is a professor of Communication at a local college. I don’t leave home without? Handbag with snacks, sunglasses, and grip socks for Pilates. What qualities do you most admire in a teacher? The ability to bring out potential you didn’t know you had. Top 3 things on your “To Do Before I Die” list? Travel Europe, go back to Hawaii, and teach an 80’s themed Barre class (just once). What’s your Pilates “a-ha” moment? A-ha moments happen everyday for me. Favorite blog? I don’t really read blogs. I like The New York Times. How has Pilates changed your body? I found my hamstrings! I am an expert in…..? I’m a firm believer in the idea that the more you know, the less you know you know. Where can we find you on any given Saturday night? Out to dinner or watching Netflix with my dog. Amanda was born and raised in Granite City. She began taking Pilates classes to help with stress and to feel better about herself after having her third child. Amanda fell in love with Pilates after her first class and it has been in her exercise regimen ever since. 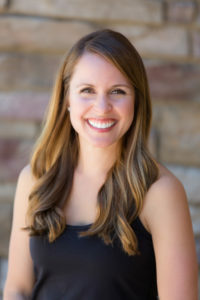 She decided to take the Pilates training through The Pilates Center of Boulder Colorado, so she can help others feel better about themselves, reach fitness goals and share her passion for Pilates. In her free time, Amanda enjoys spending time with family, friends and traveling. What’s your Pilates “a-ha” moment? I decided to try Pilates and noticed all the results and thought…wow it really does work! How has Pilates changed your body? I lost about 30lbs and found muscles I never knew I had! In 2014, Caryl Scobbie set a New Year’s Resolution goal to regularly incorporate Pilates into her workout regimen, and has been taking classes at the studio ever since! Pilates has been the one workout that has not only changed her body, but has given her a new awareness of the bad habits she has developed in her every day movements and stances. 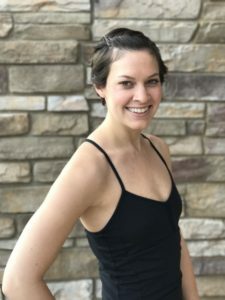 Pilates is not a workout for her, it is a reward, and this is what drove her decision to become Pilates certified and enroll in the intermediate teaching program through The Pilates Center of Boulder, CO. The teaching program is a large time commitment consisting of practice teaching, observations, lectures, and personal workouts – Caryl is currently juggling her time with these tasks and her full time job. Her degree is in architecture and she works for a national restaurant chain as a project manager in the Design department. Her day job can be stressful, so to have Pilates as a release and a way to stay centered is invaluable! When she’s not at work or the studio, you can find her on her fashion blog or cheering on the Cardinals! Caryl hopes she inspires others to find ways to balance their busy work commitments while taking time for themselves also! Caryl’s goal as an instructor is to challenge clients to build confidence in their bodies. Through her teaching, Caryl likes to showcase that Pilates is truly a full-body exercise, and it starts with the mind. We are all capable of achieving maximum mobility, flexibility, and core strength, but you must first build that trust in yourself! Degree: Bachelor of Science degree in Architecture. Hometown: I was born in Los Angeles, CA but I consider San Antonio, TX my hometown! Career before Pilates: I work in the Design department for a national restaurant chain. My biggest role is change management – making sure any changes to our equipment, furniture, finishes, etc. get tracked, tested, communicated, and implemented properly. It can get stressful and I love having Pilates as my way to let my work stress go and help others do the same in the process! Favorite thing to eat for breakfast? Eggs! Admittedly I could eat anything + eggs for any meal. Over easy, scrambled with cheese, hard boiled, it’s all good! I don’t leave home without? My phone. And chapstick. What qualities do you most admire in a teacher? Being able to notice even the slightest nuances or corrections in body movement. They are so subtle, I can barely feel I am making differences, but somehow they still noticed! I also admire teachers who can cue movements so effortlessly and in a way that makes instant connections with their clients. What is your signature fashion style? This is a loaded question! I am certainly not fashion forward but I’m not afraid to take risks with bold patterns and colors. And I could not live without a pair of pointy toe pumps. Or 20. Top 3 things on your “To Do Before I Die” list? –I really want to make it to Europe one day. Specifically Paris. –I would love to visit every MLB baseball stadium! –Although I know it’s a little different now, I would still like to visit the original studio location at which Joseph Pilates taught in NYC! What’s your Pilates “a-ha” moment? Just this past week, Regan was teaching me swan and how it really is more of a reach and extension of your spine – the lift of your arms and reach of your fingertips help get you that extension. It’s not just an exercise that ends in a back-bend. Looking at the before and after photos of that session were so impactful! Favorite blog? Haute off the Rack – She is my favorite and so super sweet in person! How has Pilates changed your body? I definitely plateau when I am doing cardio and only cardio. I am in my best shape when I incorporate Pilates into my routine. I’m longer, leaner, stronger, more mobile, and my spine is more pliable! It truly makes me feel my best. I am an expert in…..? Bourbon! Well, not really but I certainly feel well on my way! Where can we find you on any given Saturday night? Between April and October, it’s definitely cheering on the Cardinals, either at home or at Busch! Monet was born and raised in Glen Carbon. She is a Southern Illinois University of Edwardsville graduate and received her degrees in biology, chemistry, and forensic science. She currently works in healthcare. However, her true passion lies in fitness, health, and wellness. She is excited about her endeavors as a Barre instructor. Monet first fell in love with the practice in 2013 when the studio opened its doors. She plans to further her training in the Pilates field and is excited to share the practice with others. Martha Allen began taking Pilates mat classes as a result of a patella sublaxation when she was a high school student taking daily ballet, modern, and jazz classes. Her interest and class work in Pilates continued during her college life as Pilates was an integral part of the modern dance curriculum at the University of the Arts in Philadelphia, PA. Mat classes paved the way for private lessons with the tower, reformer, and the Cadillac. Martha began her formal Pilates training with Mary Brown, in August 2013. Pilates has enabled Martha to further her dance career and enhance her everyday life. 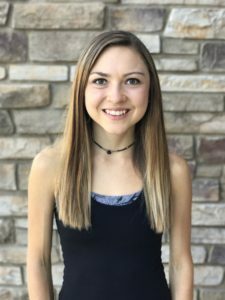 Martha is excited to start her teaching journey at the Pilates Barre Studio in Edwardsville and share her love of Pilates! I don’t leave home without? 3 different lip balms in my purse! Peggy has been a fitness fanatic since she can remember. After a car accident, she had ruptured a disc in her lower back, but she was determined to avoid surgery and taught herself how to relieve the pain through her own studies of Pilates. After taking a few privates at The Pilates Barre Studio, she started her official Pilates training through The Core Center’s PMA approved comprehensive Pilates teacher training. She loves researching and expanding her knowledge on the benefits and practice of Pilates. Peggy is passionate about helping others reach their fitness goals, feel better about themselves, and work through current aches and pains. Peggy truly believes there is no reason to kill yourself to be fit and healthy. So, if you want to be worked out, feel the burn, but also feel amazing after, come see her! Certificates of Training: Mary Brown- The Core Center , Kaile Larson The natural progression to advance Pilates and Squeezing more juice out of optional Pilates excercises. I don’t leave home without? Water, lip gloss, phone cash and my list! What’s your Pilates “a-ha” moment? Oh my gosh , so many! Some are my own and some when I see the connection in a client. The most recent would be breath . I was reading Return to Life again and when doing rowings I really incorporated the inhale, keeping my deep abdominal engaged and my breath literally moved my arms, opened my shoulder blades, and made the movement “easy” naturally. Favorite blog? I don’t blog. Rita has been teaching and training individuals and groups in many disciplines since 1983. She has been trained by some of the top professionals in the industry such as Johnny Goldberg (founder of the Spinning® program), Beth Shaw (YogaFit®), Petra Kolber and Gin Miller (Reebok Master Trainers), and Les Mills (Body Pump®) to name a few. Rita has maintained a lifelong commitment to health and fitness. She is dedicated to helping others in their own personal pursuit of weight loss, increased fitness and overall health. To say she is dedicated to this industry is an understatement! 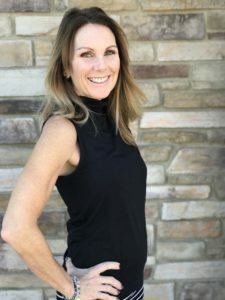 In her free time, Rita enjoys training for and participating in marathons and half marathons, cycling, yoga, and lifting weights, as well as, spending time with her husband and four children in their many sports and activities. Rita has completed five marathons and over 30 half-marathons since 2008 and continues to participate in running events nationwide. One important philosophy she lives by is that anyone can do anything if they make up their mind to do it and then follow through with the appropriate training and dedication. One is never too old, too large, too small, too ANYTHING to try! Rita is Stott Pilates™ Mat Pilates, YogaFit® Yoga certified, and Pilates certified through The Core Center of St. Louis. Certificates of Training: Pilates Method Aliance Certified Teacher, Pilates comprehensive training through The Core Center JOHNNY G. SPINNING, ACE, ACSM Personal Training, AFAA Group Fitness Instructor and Personal Trainer, BODYPUMP, & more! Career before Pilates: I’ve been teaching exercise in one form or another since age 19; I don’t want to tell you how long ago that was! What’s your pilates “a-ha” moment? My Pilates Ah-ha moment was when I realized that the components of Pilates can easily be incorporated into my daily life to help me move and feel better! Favorite blog? I’m so behind the times that I don’t regularly follow any blog!! Stephanie Manning has been teaching for as long as she can remember. 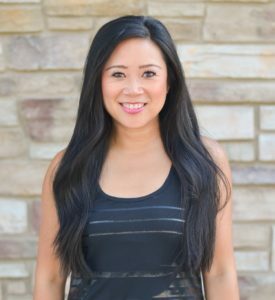 Injury rehabilitation and prevention is what led her to the Pilates practice, but her passion for health, well-being, and mobility is what permeates through her teaching. Stephanie is a Pilates Method Alliance trained teacher, under Mary J Brown of St. Louis, and a PMA® Certified Pilates Teacher. She continues to seek training and experience from a variety of professionals in the field. 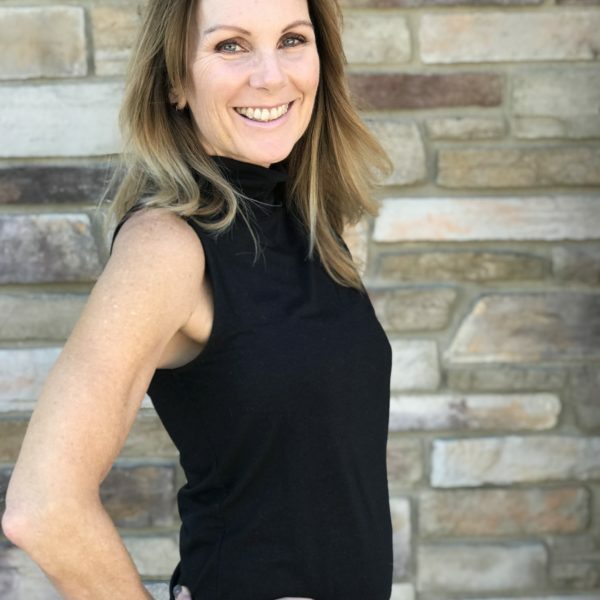 She has completed observations and classes at Pilates Aligned, in Denver, Colorado, under Cara Reeser, a second generation trained teacher and carrier of the Kathy Grant work. Stephanie is currently attending The Pilates Center of Boulder Colorado for an additional Pilates Certification. Stephanie took the studio over after teaching here for about three years. 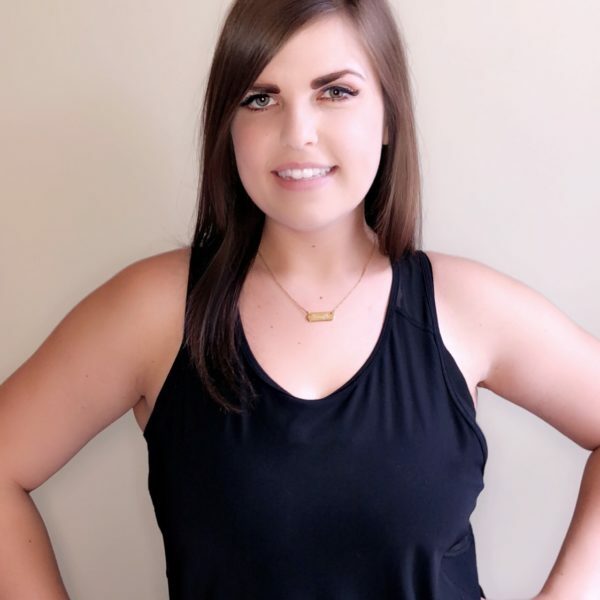 She is excited to continue to offer The Pilates Barre Studio to the Edwardsville Community, and looks forward to helping clients evolve, strengthen, and restore. Certificates of Training: Pilates Comprehensive Training through The Core Center, Pilates Method Alliance Certified, AFAA Group Fitness Certification, The Pilates Center in Boulder, CO Pilates Teacher Bridge Program. Career before Pilates: Career before Pilates was teaching 5th grade – I love teaching! Favorite thing to eat for breakfast? Oatmeal with blueberries, nuts, and protein powder! What qualities do you most admire in a teacher? I admire a teacher that can teach you the quality and skill in a precise way so I can accomplish more!